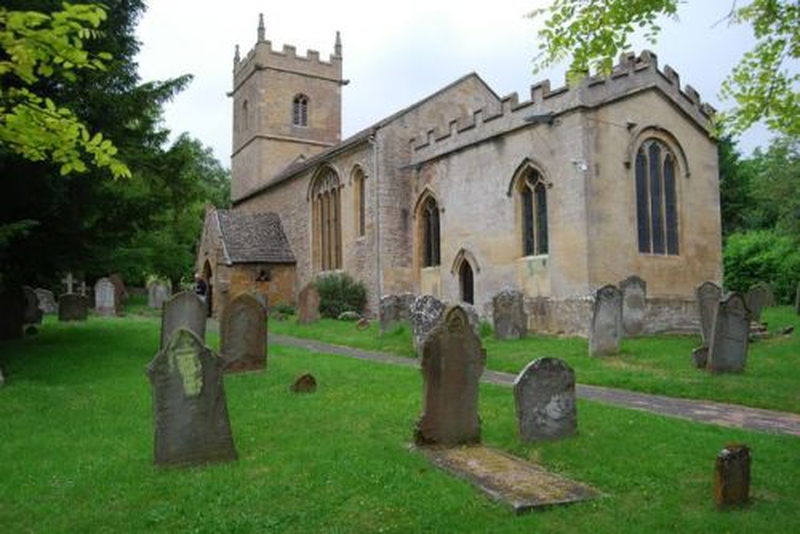 The villagers of Ashton have worshipped here in St Barbara's for almost 1000 years and the churches of Ashton and nearby Beckford have been linked since the 8th Century; Ashton church was mentioned in the Domesday Book. The dedication to St Barbara, patron saint of armourers, gunners and blacksmiths, is an unusual one and first appears in the 18th Century. According to legend, she was the daughter of a pagan father who killed her with his own sword because of her Christian beliefs. As he did so, lightning flashed down on to his sword and he was also killed. Images of the tower in which she was imprisoned, and the lightning flash, can be seen on our banner and kneelers. Over the centuries, St Barbara's has evolved into the church you see today. The South doorway with its characteristic rounded arch dates from Norman times. The Tower, which houses a fine ring of six bells, was begun in the 13th century. The Chancel was rebuilt in 1624 by Sir John Franklin, then Lord of the Manor. The striking Arts and Crafts stained glass windows at the East end of the church date from the late 19th/early 20th Centuries. The church is open every day from 9.00 am to 6.00 pm (or dusk in winter) and all are welcome to come in and enjoy the atmosphere of peace and centuries of worship. Since 1985 Ashton has been a member of the wider Beckford Group Parish (Church of England) which also includes Beckford, Overbury, Teddington, Alstone and Little Washbourne. In November 2008 the Beckford Group became part of the Bredon Hill Group of Churches. Our Vicar for the Beckford Group Parish is Canon Matthew Baynes, Rector of Bredon with Bredon's Norton. Tel: 01684 772237. Canon Susan Renshaw, Vicar of Eckington with Defford and Besford, Rural Dean of Pershore is also part of our clergy team, and we have support from lay readers John Dodge and Roger Palmer. As well as regular services at which everyone is welcome, there are special services at St. Barbara's for Festivals and other significant events in Ashton's year. Our church also serves the community for Baptisms, Marriages and Funerals. The church has a regular organist and choir; refreshments are served after morning services. Please come and join us!